Actor Angelina Jolie is filing for divorce from actor and producer Brad Pitt, according to legal documents. The entertainment news website TMZ says Jolie is seeking custody of the couple's six children. She is asking the judge to give visitation rights to Pitt. Pitt has more than 70 works as an actor and producer and shot to fame in 1994's "Legends of the Fall." Jolie has 46 credits as an actress and became popular via the blockbuster "Lara Croft" movies. She is not seeking spousal support, TMZ says. 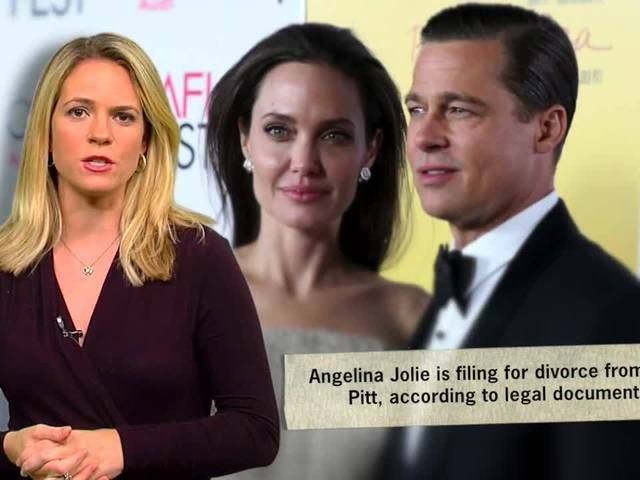 The news outlet also says Jolie's reasoning for wanting a divorce surrounds Pitt's parenting style, and does not involve cheating accusations. The celebrities were engaged in 2012 and married Aug. 23, 2014. They had been together for nine years before the wedding in France . The couple have appeared in three films together : "By the Sea," "Mr. & Mrs. Smith" and "A Might Heart." This was Pitt's second marriage, and Jolie's third.